Remember how cool ant farms were as a kid? The only problem once you got your kit home was getting the actual ants, which typically took about a month via mail order. On top of that if your ant farm was ever knocked over your pet ants would get out into your room, which typically lead to a choking cloud of ant spray and your ant farm being tossed in the trach. 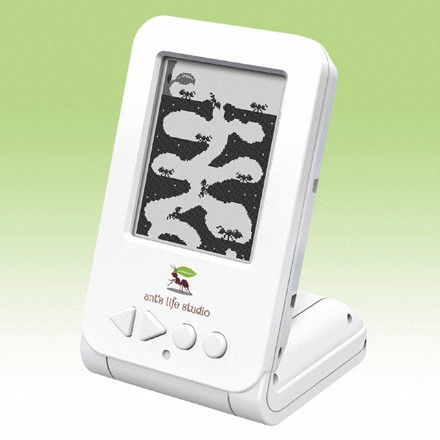 Bandai Ants Life Studio is a virtual ant farm you can keep right on your desk without fear of your ants escaping! You can interact with your pet ants by giving them sugar, salt, pebbles, worms, and fruit to help them thrive and build their nest. Shaking your ant farm will result in your ants becoming stunned and confused! This cool new life sim is available now from Audio Cubes.